Now it really feels like a new era! In the very near future we will forget the petrol engines! The Concept_One is an exceptional supercar with a new propulsion concept. With a curb weight of 1650 kg, and 1088 HP, the Concept_One can reach 100 km/h from a standstill in 2.8 seconds and continue to accelerate to the limit of 305 km/h. 92kWh of energy in the Battery Modules delivers enough juice“for up to 600 km of range. Rimac Automobili is a young company which develops and produces high performance electric vehicles, drive trains and battery system. This all began when the founder of Rimac Automobili, Mate Rimac, converted his old BMW to a race EV. 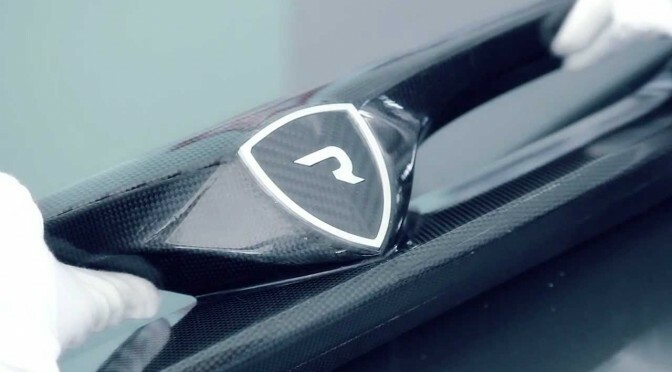 He explored the technology by improving every part and began to team-up with experts from different fields in order to develop the next generation supercar. The old BMW is now officially homologated as a “Rimac Automobili e-M3“and is used as a test mule for battery technologies, battery management, propulsion systems and latest in-house developments. Describing their beginnings Mate Rimac points out: “Our first car evolved in a short period of time into a project that didn’t give a final result – instead it was a start, the start of the world’s first electric hyper car – the Concept _One”. A group of 20 multi-talented engineers and designers settled in Croatia near Zagreb and are making something new and revolutionary. The production of the first model, the Concept_One, is limited to 88 units, starting with deliveries in 2013. Previous PostSee What Happens When you Quit Smoking!Next PostShocking Satelites and Junkyard around the Earth!